Over the last ten years, Fluid has become the trusted partner that leading retailers such as The North Face, Calvin Klein, and Sears rely on to take their digital shopping experiences to the next level. Utilizing the Fluid Retail Platform, online retailers can build rich shopping sites with fully interactive product displays, dynamic pages with user-driven product design and configuration, and merchandising strategies that leverage social networking. Fluid chose to partner with GlobalLogic through a nearshore engagement model to develop two new products for its Fluid Retail Platform. Fluid Configure would enable shoppers to build customizable products utilizing photo-real images, and Fluid Socialize would allow shoppers to discuss their purchases through Facebook and social widgets embedded directly into the retail website. GlobalLogic took responsibility for the majority of the Fluid Configure and Fluid Social development tasks. Utilizing Agile methodologies, GlobalLogic worked on everything from client-side HTML to server-side databases to 3D modeling platforms. GlobalLogic also provided Fluid with product enhancement services for its existing Fluid Retail Platform components, as well as solution implementation services for several of Fluid’s high-profile customers. 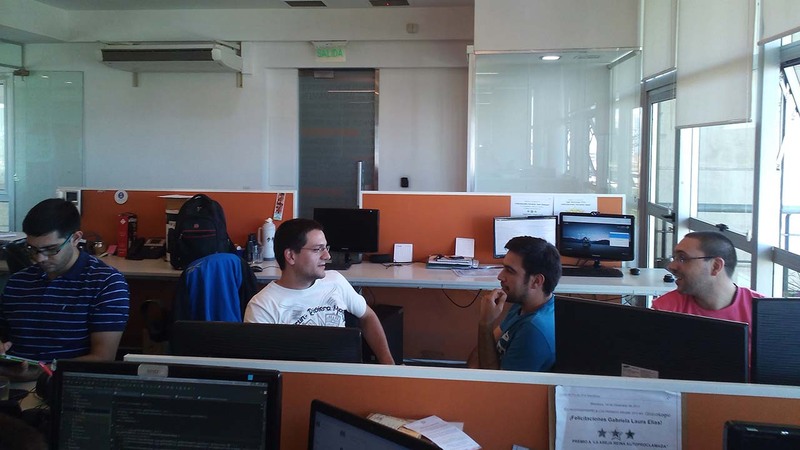 Furthermore, Fluid leveraged one of GlobalLogic’s nearshore teams in Argentina to achieve a 100% workday overlap. “I maintain the same level of trust, confidence and communication with my GlobalLogic team as I do with my in-house developers. It’s a real pleasure working with them; they’re my team,“ Andrew Guldman VP Product Engineering, Fluid.